Our signature foot treatment will treat the most overworked feet. After a nail analysis, enjoy a relaxing foot soak in our signature Peppermint soaking elixir. Your feet and legs are then treated to a dry exfoliation and stimulating massage designed to increase circulation. Followed by nail shaping, cuticle work, and extra exfoliation. Enjoy the tranquility as your feet benefited from a heated butter treatment and wrapped in warm linens. 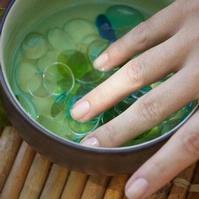 This luxury service also includes our 3-step Healthy Nail Treatment. Benefits: increased circulation, exfoliation, intense skin hydration, massage, cleaning, filing and buffing nails; trimming cuticles. ***Please advise us if you currently have a gel or shellac on your nails, as an additional time and fees will apply. Available Monday to Friday, Only. Warm days require sandal-ready feet. 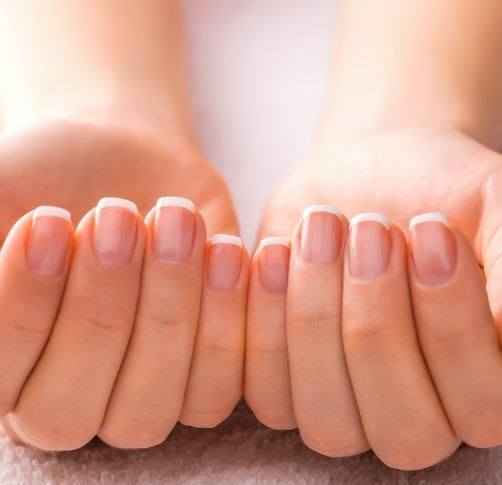 This service addresses nail maintenance, cuticle care, light buffing of the foot, and polish change using our argan, vitamin B, and vitamin C infused polish or our signature healthy nail treatment. Benefits: increase circulation, intense skin hydration, cleaning, filing, and buffing nails. Benefits: Stimulates nerve function, increase energy, boosts circulation, induces a deep state of relaxation to name just a few. This treatment focuses on the feet with in-depth work to increase circulation and balance the body. This massage is designed to relieve stress, decrease fatigue, and encourage a sense of well-being. Treat the feet with the ultimate foot pampering, featuring a peppermint massage from the knee to the tips of your toes. Relief for your tired, aching feet! Begin with a relaxing foot soak in our peppermint elixir followed with a warmed sea salt and sugar exfoliation, massage, warm peppermint treatment, moisturizing therapy cream & and soothing mist. Note this treatment does not include nail work or treatment. Our Kalola Luxury Hand Treatment sets a new standard for healthy nail care. Following a nail analysis, let your senses escape as your hands and arms are smoothed with sugar & sea salt scrub, then massaged with a warm blend of Avocado Oil, Jojoba Oil, Vitamin E and Aloe Vera. Avocado oil has natural SPF to lock in moisture and leave you protected from harmful UV rays. Try our outstanding Breathe Orly polish which is infused with argan oil, vitamin B5 and vitamin C for stronger, healthier nails. Benefits: increased circulation; intense skin hydration; cleaning, filing and buffing nails; trimming cuticles. A shorter version of our traditional manicure, focusing on nail maintenance, cuticle care, and polish change using our argan, vitamin B, and vitamin C infused polish or our signature healthy nail treatment. Benefits: skin hydration; cleaning, filing and buffing nails; trimming cuticles. Add on a French polish to any pedicure or manicure service for a classic, iconic look. Please make this request upon booking. 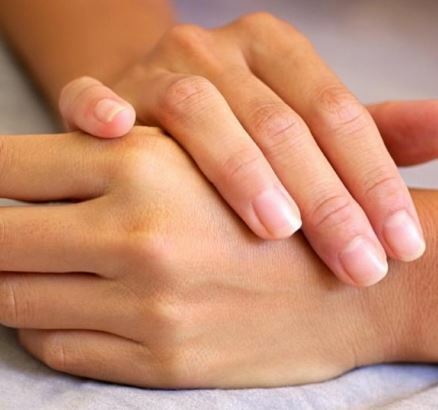 Let us ease the muscles in your overworked hands. 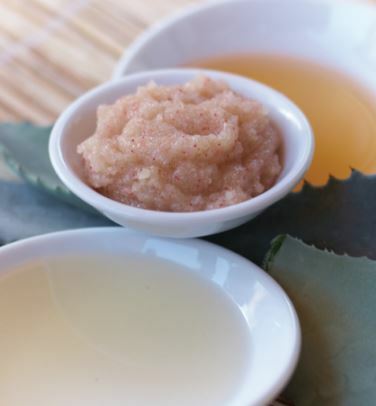 Begin your decompression by letting us polish off the dull skin cells from your hands and arms with a refreshing citrus sea salt and sugar scrub that uses the rinds of fruit to tone the skin. Your arms and hands are then wrapped in a contouring gel-mask to smooth and tighten. The tension in your forearms, hands, and fingers is then massaged out with a toning body balm. End your journey feeling relaxed and unwound. Benefits: increased circulation; intense skin hydration, massage, cleaning, filing and buffing nails; trimming cuticles.